← Second call for papers. Special Issue on Self-Access and Young Learners. Call for papers. 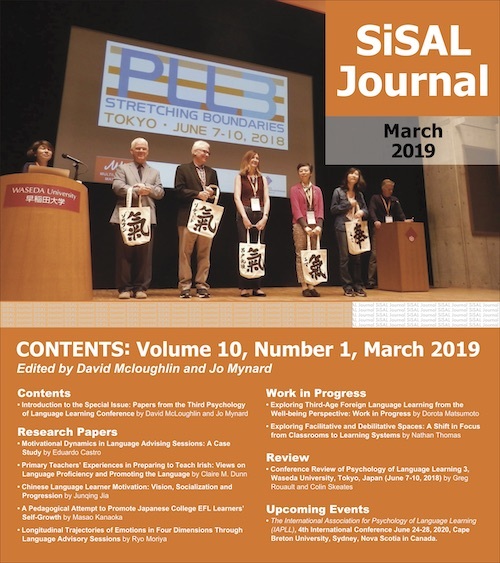 SiSAL Journal is planning to publish a special issue on virtual and other learning spaces in June 2016 (Volume 7, Issue 2). DEADLINE FOR SUBMISSIONS: January 15th, 2016. Learning environments have been long studied in classroom contexts, and we know that environmental factors play a role in students’ learning: temperature, space, seating arrangement and types of seating, flexibility of layout, and orientation all play a role in influencing activity and learning in classroom contexts. Though one might expect that environmental factors influence activity and learning to an even greater degree outside the classroom with no teacher to mediate activity, the topic has received little treatment to date. Fortunately, over the past few years there has been growing interest in space design for autonomous language learning. For example, the theme of an AILA RenLA symposium at the World Congress in Brisbane in 2014 convened by Terry Lamb and Garold Murray was ‘space, place and autonomy in language learning and teaching’. This entry was posted in Call for papers, special issue. Bookmark the permalink.